Wildfires are once again devastating parts of California, with hundreds of businesses being engulfed or impaired in the regions being impacted. 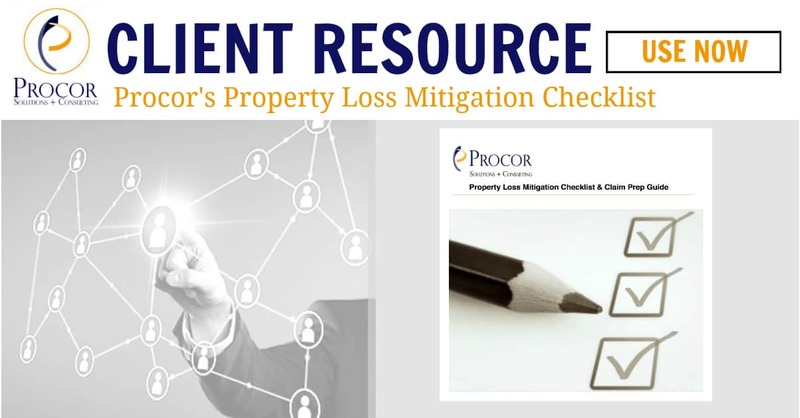 Business owners and Risk Managers should be taking action now to evaluate loss mitigation plans and determine how these wildfires will directly and indirectly impact their business. Frank Russo, Founder and Executive Vice President of Procor Solutions + Consulting, shares his perspective about what businesses should consider for this increasingly disruptive risk. 1. What are the key steps/best practices business owners can take to prepare for wildfire risk, both generally and when a fire event threatens? First, is to Know what’s at risk. According to the Insurance Institute for Business and Home Safety (IBHS) there are three main threats to which a building can be exposed during a wildfire – wind-borne embers, radiant heat, and direct contact with flames. Take the time to understand which threats are most likely for your organization based on your type of operations, proximity to wildfire prone areas and review values at those locations for both assets (including buildings, key equipment) and potential business interruption. Next, Act Now to protect your properties. There are a few relatively simple ways to reduce the risk of wildfire to your organization – including, creating a barrier or defensible around your building by clearing out any vegetation and combustible materials. Also, over the longer term replace roofing with fire-resistant materials. Keep in mind that, wind-driven embers from the fire, not the flames, are the biggest threat to properties during a wildfire. Once these embers land on any combustible material, the potential for the wildfire to spread is significantly greater. Finally, if you haven’t already, have pre-negotiated relationships with key recovery partners. For example, restoration contractors whom can assist with physical recovery repairs after a loss should one occur. Also, rapid response services are available to ensure that you have a team of loss experts at the site helping you strategize the best way to get you back to business. Don’t wait until after a loss to open the phone book for support. 2. Are there particular insurance policy terms or conditions that come into play? It is important to work with your insurance broker to understand the coverage that’s available and how your specific policy may respond. 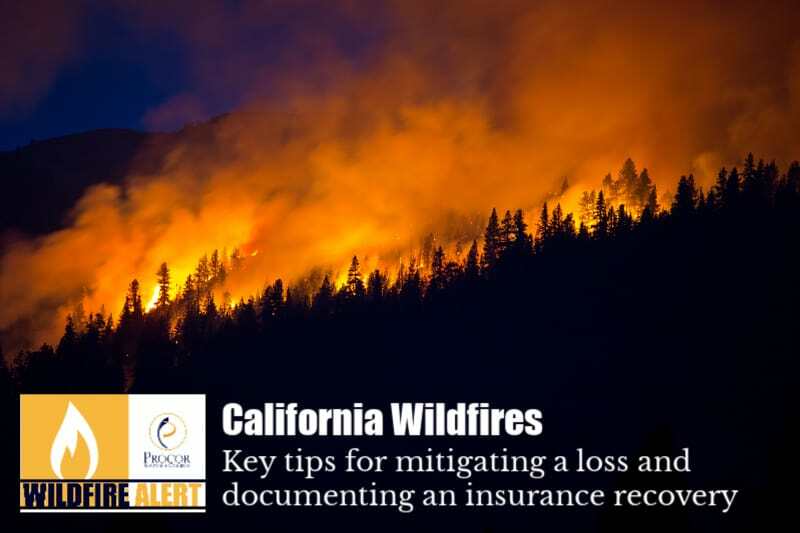 Many commercial organizations are contemplating how a wildfire loss may be interpreted in their policy. If there is physical damage, straight business interruption is triggered and typically property claim reviews occur. If the wildfire does not actually damage the property, but access to the business is restricted by way of a mandatory evacuation or damage to access roads and infrastructure, the business may recover its lost profits through its Civil Authority or Ingress/Egress coverage forms. 3. If they have a claim, what can policyholders do to try to ensure/maximize insurance recovery? With any type of property loss, we recommend the best course of action is to make prudent decisions to get back to business as quickly as possible. When you act in this regard, your insurance company will support your decisions most of the time. Insurers will require explicit detail and documentation to support a claim. When supporting a wildfire it is important to keep records of all evacuation orders and road closures, especially in a claim due to civil authority or ingress/egress. Finally, communication is key – talk to your insurance broker and insurance company before a loss happens and understand what you’ll need to do in the event of a claim.